There was a time in history when 'smart' meant excellence. If you were smart, you were bound to do well and succeed in life. But times have changed since and today, almost everyone and everything have to be 'smart' for long-term value-generation. Today, you ride smart cars (eco-friendly, electric cars or hybrids providing good mileage), use smart cards (any small-size card with embedded integrated circuits) and opt for smartphones that can perform a thousand tasks in addition to making calls. Therefore, it was only a matter of time before the traditional idiot box went for an image makeover and turned smart. Today, almost all leading brands are offering Smart TVs, but before we get to the comparison bit, let us first understand what a Smart TV is. 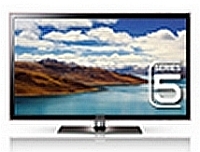 Smart TV, also known as Connected TV, is basically a television set that provides Internet-connected services. These devices are more focused on providing online content viewing and sharing (like streaming videos from YouTube), compared to the earlier versions which could only broadcast programmes. Moreover, Smart TV also supports almost all popular video formats and can play high quality videos by connecting to an external USB stick or a hard disk drive (HDD). Smart TV is interactive in nature, which means that your experience is not limited to watching your favourite channel till you doze off. Unlike the traditional idiot box, the Smart TV offers better Internet connectivity and computing abilities. It not only lets you browse the Net directly from your TV set (an active Wi-Fi connection is required for this) but also allows you to search the World Wide Web for movies, videos and photos and much more. You can also use your TV set for installing and running applications which are compatible with the device and play selected games. Also, media content can be directly streamed to the TV set from PC or smartphone using Digital Living Network Alliance (DLNA). Thus, you have an all-in-one gadget that takes entertainment to a new level in the most convenient manner. 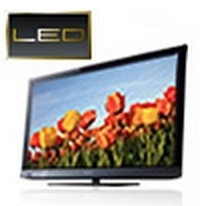 But you should keep in mind that although all Smart TVs are LED TVs (not LCDs or Plasma TVs), all LEDs are not necessarily Smart TVs. Now that you have got a fair idea of what exactly a Smart TV is, let us take a look at some of the most popular Smart TVs available in the market. 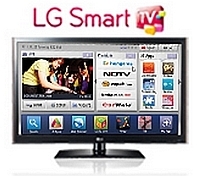 LG Smart TV: The Smart TVs by LG are LED TVs and come with full HD 1080p. They have a number of interesting features "the first being the Magic Motion remote control that doubles as a mouse. With simple gesture controls, you can drag, flick and select what you want without using multiple buttons and keys. The Smart Share allows you to wirelessly access the content in your digital devices, such as digital camera, mobile phone and PC. Then there is a plethora of applications and games that you can access for individual and family entertainment. You can also download apps and customise the Home Dashboard with the apps of your choice for quick and easy access. Incidentally, a Home Dashboard has been added to the screen to ensure that your navigation through all entertainment options is nothing but a breeze. LG Smart TV also comes with HDMI ports, a headphone port and USB 2.0 ports for better connectivity. In addition to the above features, the 3D Smart TVs from LG offers improved conversion from 2D to 3D, as well as more realistic 3D images. The 3D viewing angle is also much wider than conventional 3D televisions, which allows the viewer to lie down or lean back without any image blackout. Also, LG's CINEMA 3D technology has eliminated flickering shutters from the 3D glasses, allowing user to watch 3D TV for extended durations without the least discomfort. Samsung Smart TV: Here comes the new line of full HD Smart TVs with ultra-clear panel and digital noise filter from Samsung. These Smart TVs offer features like the Smart Hub, which lets you surf the Web, download various applications and search for TV content while watching live programmes on your television. In fact, here you will find a dedicated Web browser that lets you search for content, shop for apps and stay connected via social networking sites (SNS). Samsung's Social TV feature allows you to blog and chat via Facebook, Twitter and Google Talk but the availability of Social TV depends on the region you are in. Then there is Skype for free video calls with other Skype users, a video-on-demand service and 'All Share' for wirelessly connecting with mobile devices through DLNA for sharing movies, photos and music stored on those. There's also AllShare SW and the software can be downloaded onto your PC. You can then search and stream PC content from the television set. You can also opt for the 3D Smart TV where 2D-to-3D conversion is available, based on Samsung's depth rendering technology. The 3D glasses are also better designed and lighter. Then there is Samsung's all-new Clear Motion Rate. Unlike the refresh rate, which explains a part of the picture quality, Clear Motion Rate determines the motion of an image by using three factors â€“ chipset, TV panel and backlight. HDMI ports and USB ports are also available. Sony Internet TV: Although Sony has chosen not to use the 'Smart' tag for their Web-enabled television sets, we have added those in our list because they do offer online content. In fact, they offer full HD (1920x1080) picture quality and are available in both 2D and 3D. These televisions ensure Internet connectivity and are 'Skype ready,' which means users can make video calls via Skype directly from the TV set (although a Skype camera must be purchased separately). Also, with BRAVIA Internet Video, you can access your favourite video sites (YouTube, Style.com, Blip TV and Singing Fool, to name a few) and watch those on your TV set. Sony uses its X-Reality picture engine for video processing to provide enhanced colour and contrast. These televisions also come with S-Force surround sound, which can provide a complete surround sound experience by using just two front speakers. Plus, they have HDMI ports and USB ports (for connectivity), as well as an Ethernet port for Internet connection via cable. You can also opt for wireless connectivity through Wi-Fi, but must purchase an adapter for enabling Wi-Fi support. Sony also offers a 'Bravia Sync' feature, so that users can synchronise their entertainment devices, such as DVD players and home theatre systems, with the TV for a complete multimedia experience. Will It Suit Your Pocket? The cost of Smart TV or Internet TV (as Sony calls it) varies widely, depending on features and screen sizes. The basic model starts from as low as Rs 40,000 and can go up to Rs 4,00,000. Sony's 40 inch LED Internet TV (codenamed 40KDL-40EX520) is available for Rs 68,900. Samsung offers UA40D5900VR and UA40D5500RR in the 40 inch Smart TV category for a price of Rs 70,900 and Rs 68,900, respectively. LG offers 42 inch Smart LED TVs in a similar price range â€“ you will get LG 42LV3730 for Rs 67,990 while LG 42LV5500 will cost you Rs 69,990. However, these are current prices, subject to change, and you can always get a decent discount (at least up to 10 per cent) if you are good at bargaining. However, we suggest that you should wait till Diwali or Eid as the festive season is the best time to get some of the best deals. Smart TVs are essentially incarnations of future-smart technology but they certainly won't suit everyone's pocket. As of now, only the leading brands offer these tech wonders, but going by their increasing acceptability, don't be surprised if you see a Smart Videocon or a Smart Onida at your local brick-and-mortar electronic shop in the near future. Also, we can expect a price slash from these brands if they are keen to make foray into the mass market. If you are quite happy accessing the Internet via PC and/or mobile phone and just want high picture quality when it comes to TV viewing, you can simply stick to buying a good LED TV. 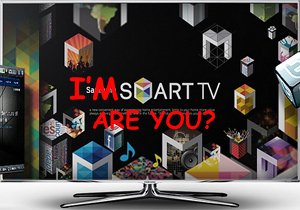 But in case you are looking for a Web 2.0 experience, be smart and go for a Smart TV. That's all about Smart TVs for now. But going by the fast-paced tech revolution, we may soon witness something even more innovative- maybe we will see a 'smart razor' that gives you a shave or a 'smart car' that will drive you to your destination. Tech skeptics may not believe in those possibilities but till then, one can always enjoy the mind-boggling features of the idiot-box-turned-smart.